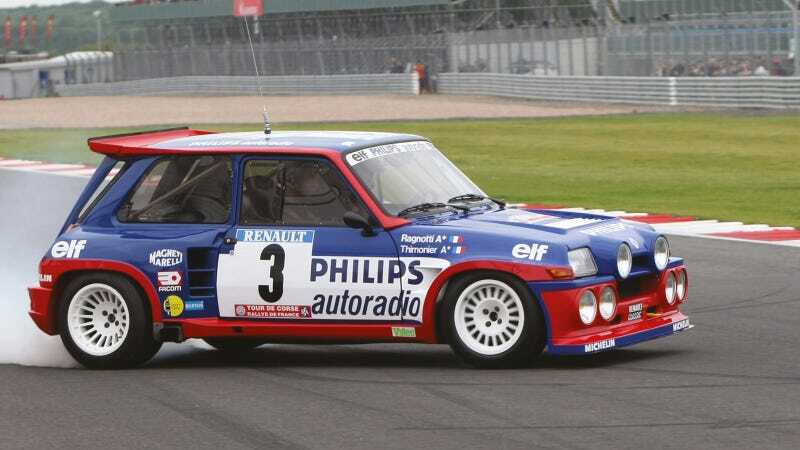 Jean Ragnotti brought the Renault R5 Turbo — a French supermini with a turbo engine in the backseat — to Monte Carlo in 1981. The tiny RWD car destroyed. Three years later the 5 Turbo Maxi was boosted to 340+ HP. Here's Ragnotti in a Maxi showing off 30 years later.